Facebook has blocked the page of a popular Pakistani rock band and some other anti-Taliban accounts at the request and the continuous pressure kept on them by the government. The Facebook page of rock band “Laal” (Red), which was set up by a group of progressive musicians in 2007, has been blocked. Laal Facebook page has more than 400,000 likes. An official of Pakistan Telecommunication Authority confirmed that they asked Facebook to block certain accounts against which the authority had received complaints, but now the question is how much will Pakistan Government succeed in controlling hate speech and graphic violence by blocking anti-Taliban pages? Those pages were made by some people who used to hate Taliban for their insane activities, but looks like now the Govt. is trying to suppress the hate spreading among the people and trying to deal with Taliban in their own ways. Though it is a good step taken by the Government of Pakistan, but this step can also be enough to spark a new hope among the Talibans and they may take it as a victory against the peace loving people of Pakistan. “Taalibansarezalimans”, an anti-Taliban forum and “Pakistani.meem”, a secular site have been recently blocked. On the other hand the group Laal is highly influenced by politics and society. They perform at different seminars and meetings. Some of its song are highly political and anti status coup. Laal’s lead member Taimur Rehman told media that they were not informed about this kind of decision and eventually, the page was blocked without any notice. 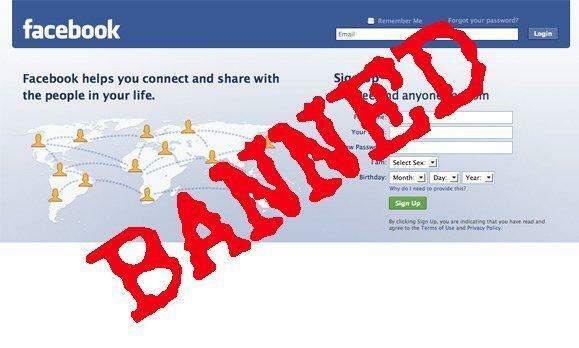 Pakistan has banned many websites in a frequent schedule, which also include social networking sites and also the most popular video sharing site YouTube, which was banned in 2012 still it is beyond access in Pakistan.